Hooray! 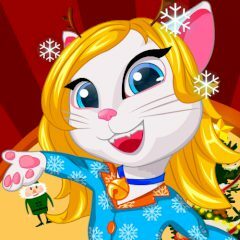 Today will be a real pajama party and your task is to choose for her a very steep pyjamas and decorate the Christmas tree. New Year is very soon! Hurry up and help Angela as soon as possible!